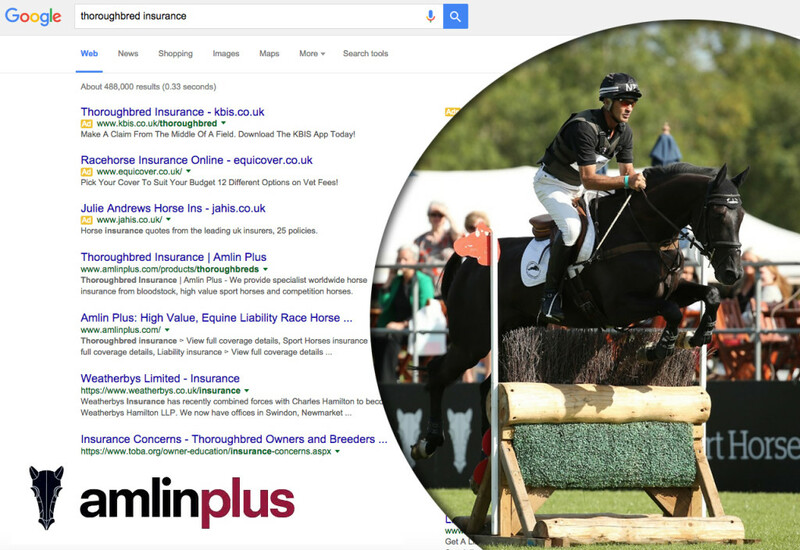 Amlin Plus is a leading provider of insurance for some of the world’s foremost equines across different disciplines from racing and show-jumping to eventing. The brief was to improve the insurer’s positioning on search engines. CWC was appointed as a result of our very successful optimisation programme for another insurer within the Amlin Group to radically improve results and increase online enquiries from their potential global audience. Before deployment of our SEO programme, Amlin Plus did not appear within the first 10 pages of results for many of the chosen search terms. However they now enjoy pole position or page 1 listing within Google and Bing for their key terms.